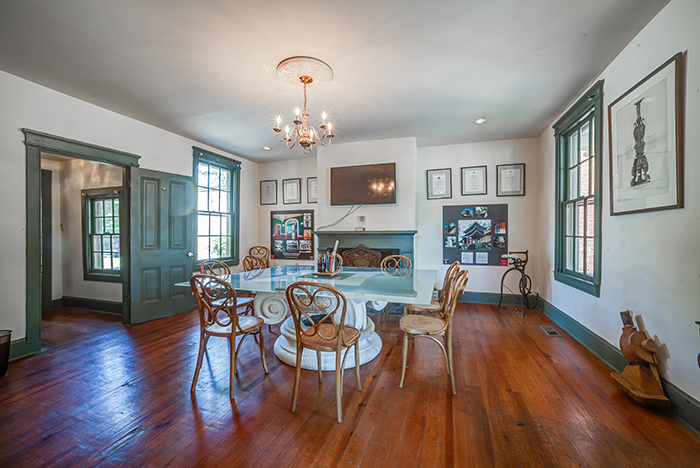 Encore designed the renovations at 111 South Washington Street that serves as Encore’s Eastern Shore office. 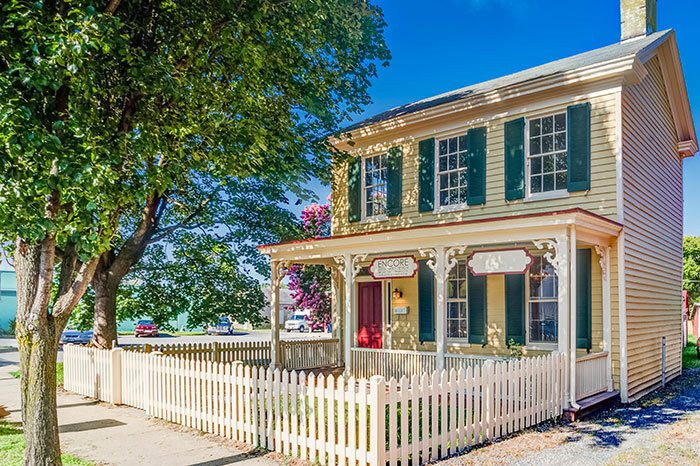 The 1824 property fits perfectly into the historic downtown of Easton, Maryland. Scrollwork brackets add subtle elegance to the Italianate style front porch. 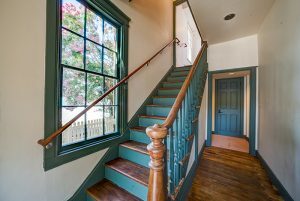 Wrought- iron and cast-iron pintle hinges on the louvered shutters define different construction phases the property has gone through. 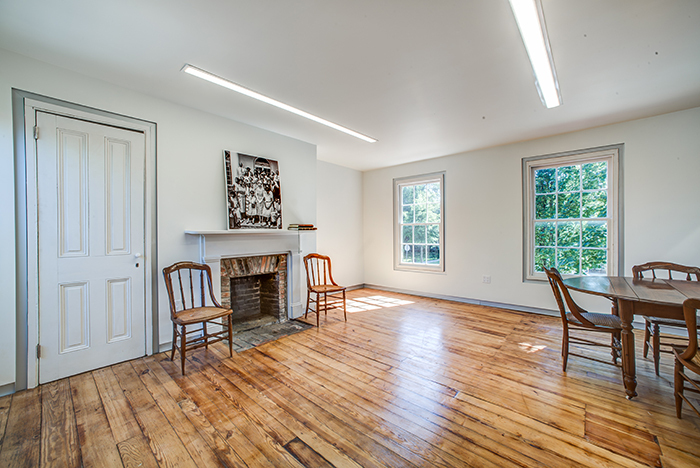 The historic rehabilitation of the property combined restoration and renovation to make an elegant small office building. 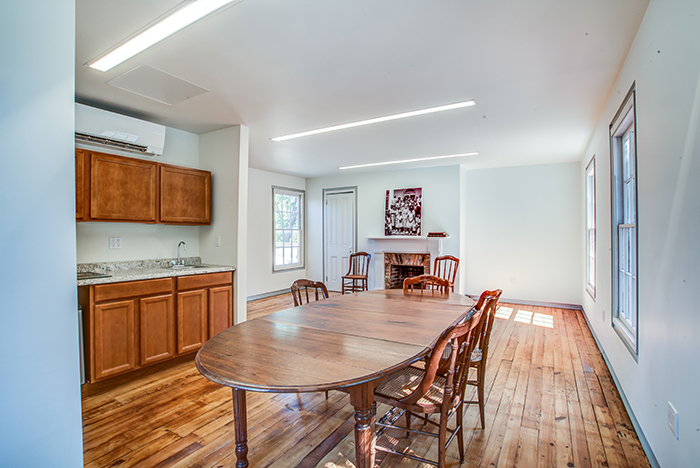 The previously gutted second floor was modernized with a ductless heating and cooling system, and low energy LED lighting. 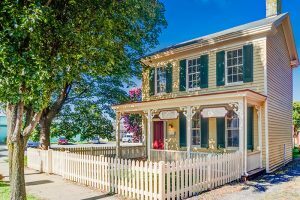 Maryland’s new Small Commercial Tax Credit program and the Federal Historic Tax Credit programs made the project economically feasible. 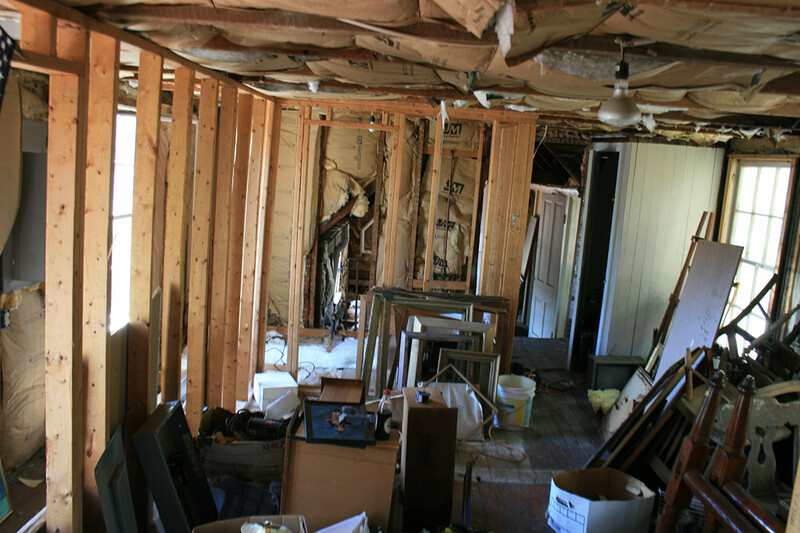 Wherever possible remaining elements were restored, including flooring, windows, siding and porches. 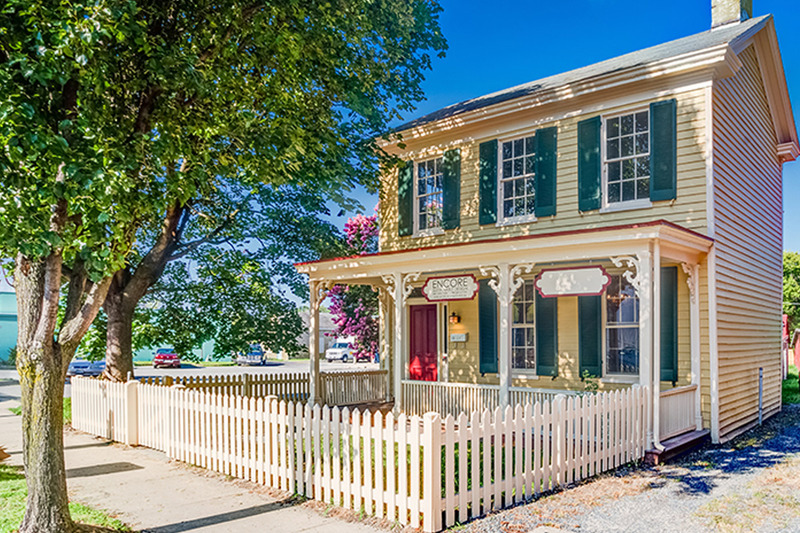 Restored details like the front window shutters and porch brackets enliven the façade. 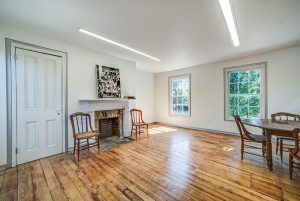 Since all of the existing second floor trim had been removed before purchase, recessed door and window surrounds and baseboards were used to acknowledge the missing history. 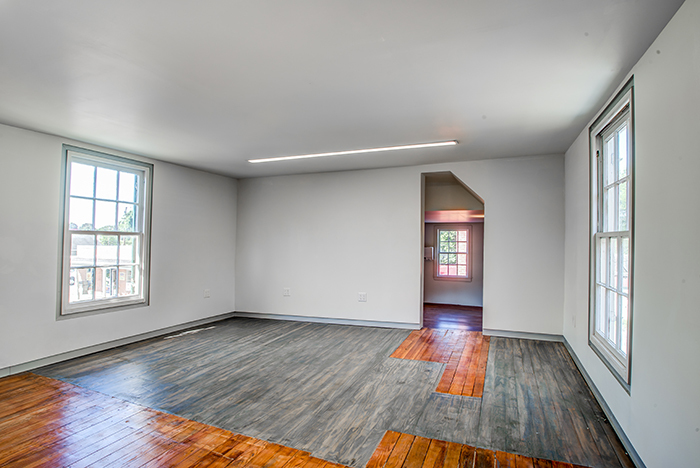 The new flooring was also stained gray to differentiate it from the original flooring. 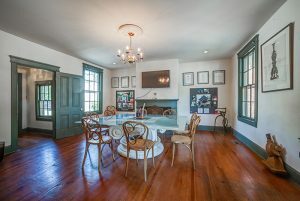 This property showcases Encore’s ability to aptly to restore historic properties to their former elegance while simultaneously adapting them to new uses.